When selecting an engagement ring, a great place to start is with your budget. 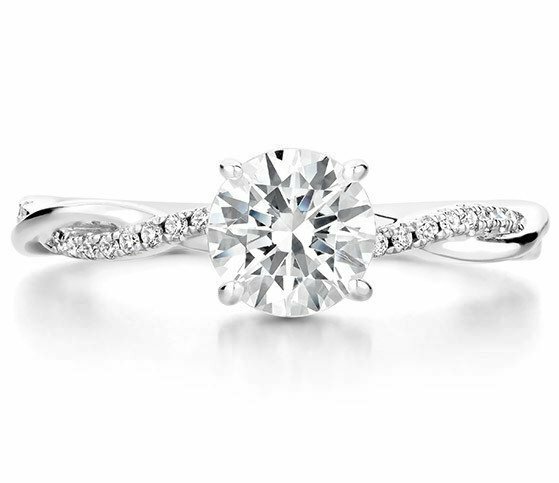 Deciding on a budget early helps you find the perfect engagement ring within your price range. It’s likely you have heard the commonly-stated guideline that your budget for an engagement ring should equal about two months’ salary. What you may not know is that this two months’ salary rule was originally a marketing campaign created in the late 1940s by an advertising firm, at the behest of the world’s largest diamond producer! Engagement rings hold symbolic value and they last a lifetime, but every couple is different. We don’t believe there should be any rules or guidelines on the budget you set. What is most important is that you are comfortable with how much you are spending. Many people spend more than two months’ salary on an engagement ring, and many spend less. Platinum, while both beautiful and durable, is the most expensive precious metal option. 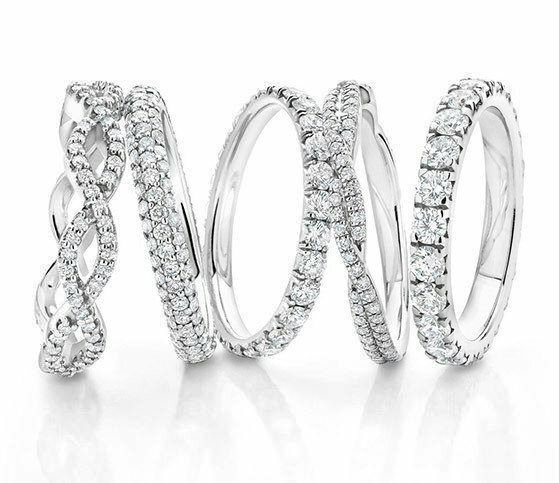 For a similar look for less money, consider white gold. Yellow gold and rose gold are also stunning and affordable choices. 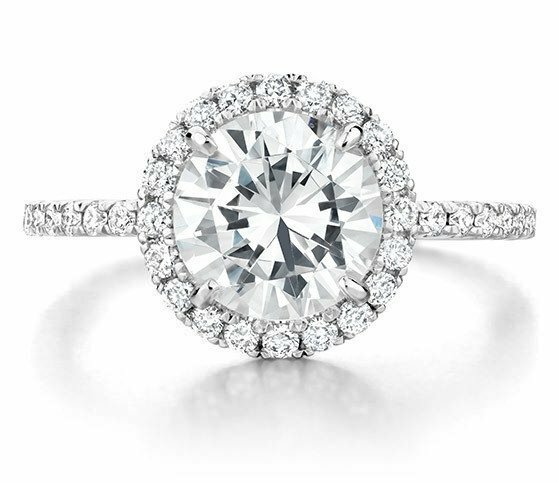 Selecting a more detailed setting and pairing it with a smaller center diamond offers plenty of sparkle for less. 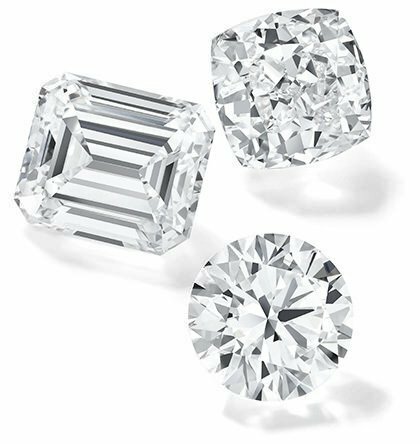 Because diamond price increases exponentially with size, smaller accent diamonds, such as halos or side stones, do not cost as much as one large stone. Because 75% of engagement ring purchases feature round diamonds, fancy shaped diamonds cost up to 40% less per carat than round diamonds. Consider a non-round diamond, such as a princess, cushion, or oval shape, to maximize size. 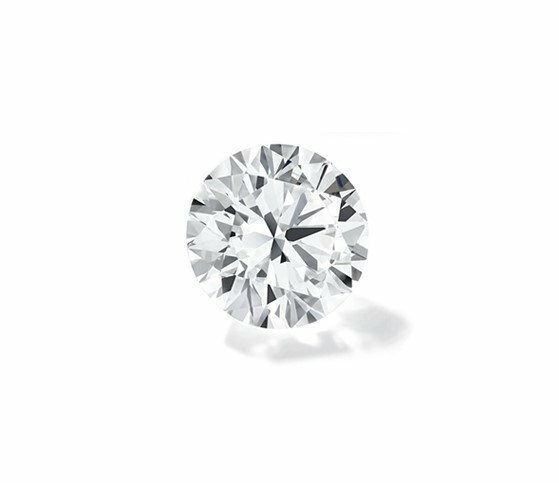 Choosing a diamond slightly under standard carat weight cut offs, such as buying a 0.9 carat diamond instead of a 1 carat diamond, can save you money without a noticeable loss in size. Lab created diamonds, which share the same chemical, optical, and physical properties as natural diamonds, cost around 30% less than natural diamonds of comparable size and quality. 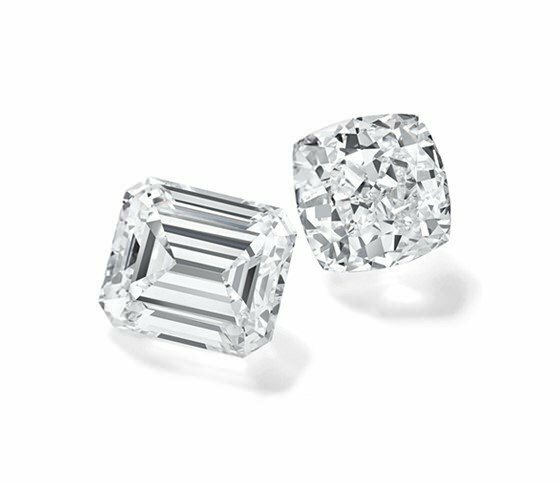 Diamond simulants, such as moissanites - durable, colorless gemstone created in a lab - offer a similar look for less money. 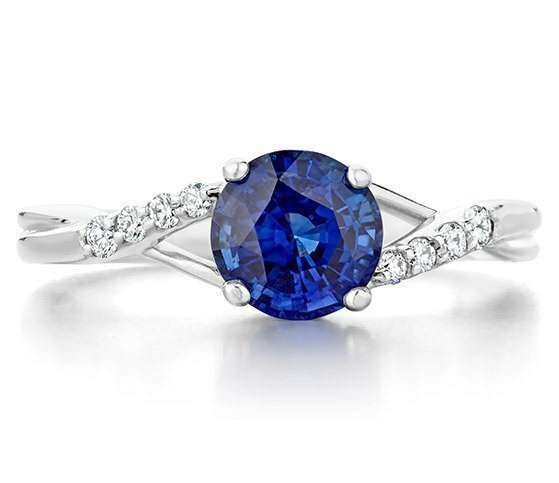 Sapphires, which are available in nearly every color of the rainbow, are a distinctive and affordable choice. Emeralds, rubies, and semiprecious gemstones are also a stunning way to add color to your engagement ring, while ensuring it is an affordable choice. 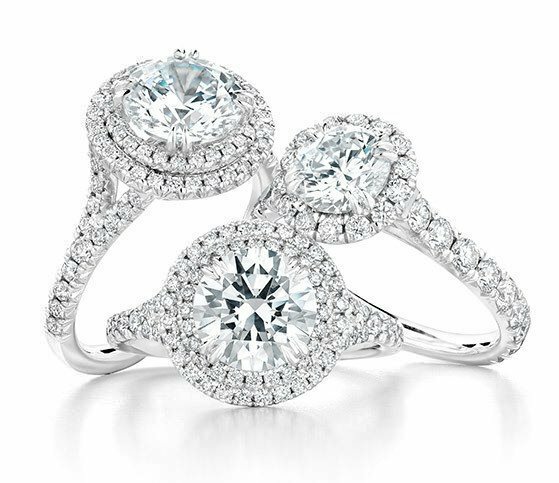 Selecting one of our stunning vintage engagement rings is also a great way to maximize your budget. 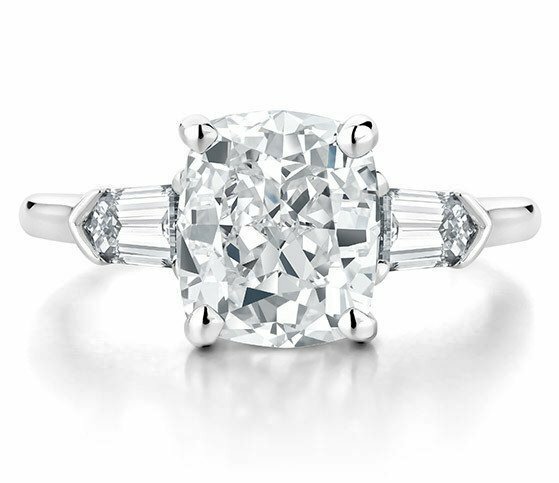 A vintage engagement ring offers both timeless romance and exceptional value. Another affordable choice is to forgo the center stone altogether, and selected a chic wide band ring instead. 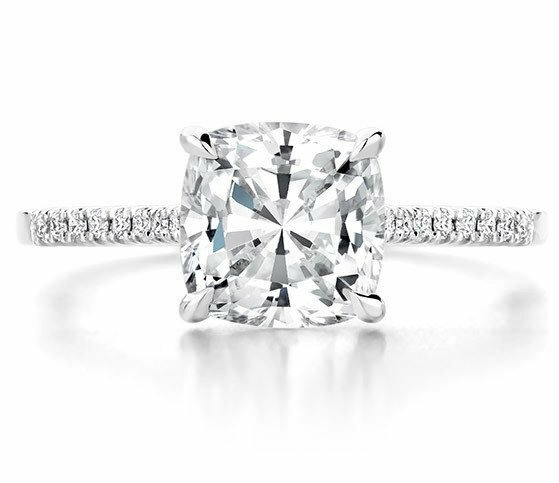 Selecting a band with sparkling accent diamonds or other details makes for a stunning ring. 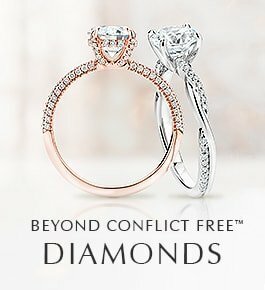 We offer a variety of flexible payment options to make your engagement ring shopping experience as stress-free as possible. 12 month financing options are available subject to credit approval. We also offer a layaway plan, allowing you to make monthly payments on any purchase after an initial deposit. We accept all major credit cards as well PayPal. Bank Wire payments are also accepted for purchases over $500. 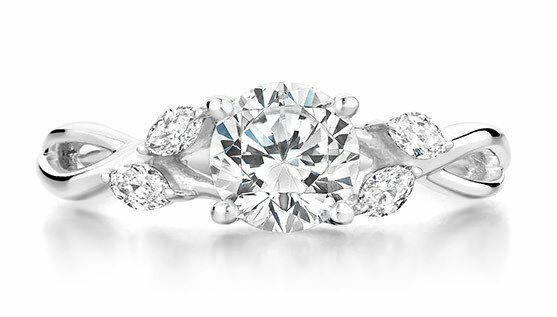 Whatever your budget is, our goal is to help you to select an engagement ring that is completely right for you. Brilliant Earth representatives will work with you to get the most value out of your budget and create an engagement ring that she will absolutely adore. We offer a range of financing and flexible payment options to help make your purchase affordable and convenient.